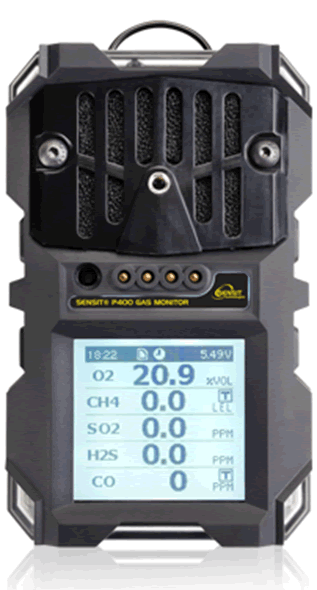 SENSIT® P400 is a multi gas detector and hand-held detector designed personal gas monitor to warn the user of hazardous gases in their working environment. The P400 can be configured with 1 to 5 sensors. Optional, Immediate Detection System (IDS) provides early warning to changes in gas concentrations.